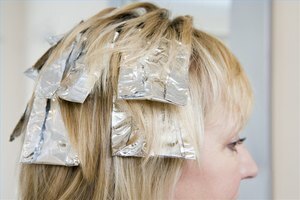 Semi-permanent hair dye is ideal for women who don't want to commit to a certain hair color. But it could get expensive to keep up since it fades more quickly than permanent hair color. Semi-permanent color comes in a variety of shades, from the traditional brunettes, blonds, reds and blacks to edgier shades like magenta, electric blue and other shocking color choices that many like to use from time to time. 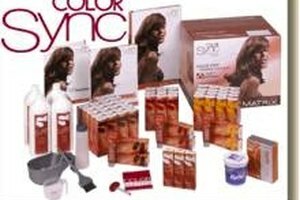 Use semi-permanent hair color once a week or as directed on the brand of hair color. This color formula does not contain ammonia, so it is safe for weekly use. 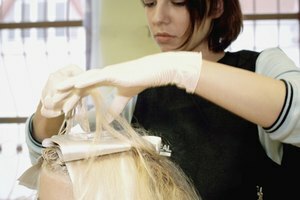 Unlike permanent hair color, there is no developer like peroxide used, so color is contained to just the outside of the hair shaft. Most semi-permanent dyes only last four to six shampoos and can also be used to add shine to hair with its gentle formula. Even though semi-permanent hair should be colored once a week to keep the color fresh, you could stretch it a few days longer if you help prevent the colors from fading. Wear hats outside to keep the sun from fading the color, and wear the hair up or in a ponytail when working out or doing chores to prevent color from bleeding out with sweat. Keep hair moisturized to ensure the color will last longer with the weekly applications and also use color-friendly shampoo that is gentle to prevent fading from happening prematurely. Since semi-permanent hair color fades much faster than permanent hair dye, weekly maintenance is needed to keep hair looking vibrant and healthy. Keep a few boxes of your favorite color at home so you can do them each week at home, and stay as close to your natural hair color to prevent it from being obvious when hair starts to grow and show roots. 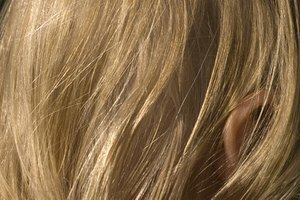 Roots are a telling sign that hair color needs to be refreshed, and it is also the area that fades the quickest.